What do you need to do? Create a video that is at least thirty seconds in length and no longer than two minutes. 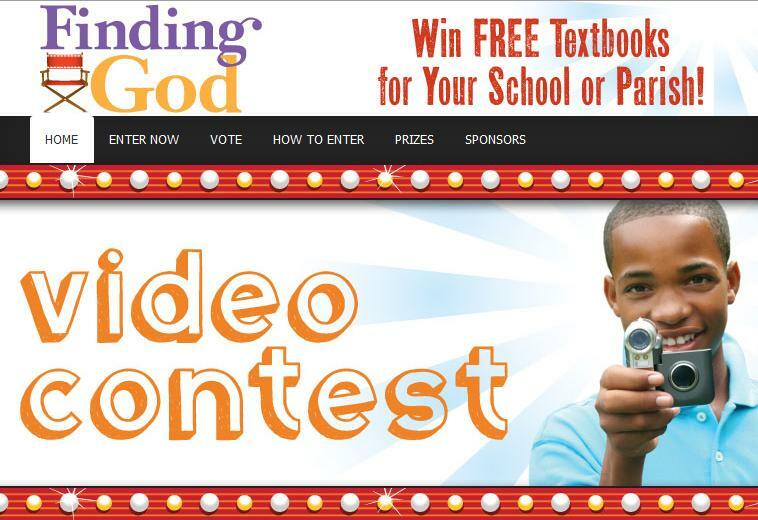 Parish staff members must upload entries at www.FindingGod.com/contest by April 20, 2012. Winners will be determined by online voting, so entries should be submitted as soon as possible to allow plenty of time to vote. For those who are religious educators in a parish program without available equipment, tell your students about the project and theme – Where do I find God? And invite them to create videos with their families at home. All the information the child needs about the contest, a parent can assist them with by going to the contest website. Watch this video to learn more about the contest. If the children create their videos at home, they can bring their video to your classroom on a thumb drive to share with the class. All you need is one computer to show the videos to the class. Invite your students to choose the one that will represent their class. Click the “like” button if you plan on engaging your class in this project.